We service residential and commercial units. Respect to our customer is not just our job, it’s our honor. We Tackle All Jobs, Big and Small, With Confidence! First time customers get $20 off repairs over $150. No trip charge with repair. Yelp and Angie’s List Users Love Us! 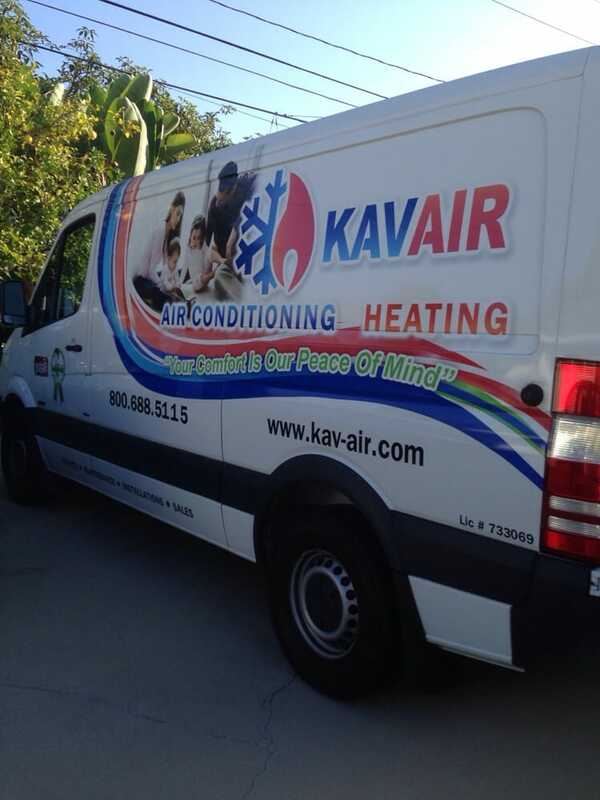 Since 1997 Kav-Air has taken pride in being the most honest and reliable certified air conditioning and heating professionals. We may not be the biggest in the San Fernando Valley, County of Los Angeles, or Ventura – but our low overhead means we can pass the savings on to our customers. We promise to arrive on-time. We specialize in systems from Ruud, Rheem, York, Carrier, Lennox, Trane, and more. Finding a fair and honest heating and air conditioning contractor can be a challenge. Just because a company is well-known doesn’t mean the service is guaranteed. We promise to always perform at our best. It’s simple. If you are not at all satisfied with our service performance, you will not be charged for any service fees. We receive most of our business from repeat customers and referrals. Our main goal is complete customer satisfaction.